Soybeans have been called the “Miracle Crop,” with hundreds of uses including animal feed, biofuel, fertilizer, cleaning products, cosmetics, candle wax, and a protein source through soymilk, tofu and more. Soybeans are particularly versatile as for use in the home kitchen and industry because of their nutritional value and structure: They contain 40 percent protein and 20 percent oil along with eight essential amino acids. The United States, Brazil, Argentina and Paraguay are major producers and exporters of soybeans, according to Trading Economics, while China, the European Union, Mexico and Japan are major importers. Due to the many uses and high demand for the high-value crop, cultivation of soybeans is linked to both wealth and economic struggles. The first cultivation of soybeans, plants native to Southeast Asia, can be traced back 5,000 years ago, when Chinese referred to the legume as the “Yellow Jewel” and the “Great Treasure”’ for its nutritious value. The crop had spread to Japan and other parts of Asia to become a staple after the Chinese-Japanese war over Korea in 1894-95 and China’s crushing defeat. Japan gained access to major ports like Soochow and Hangshou as well as the factories and manufacturing practices in China. The Japanese, recognizing the value of soybeans for fertilizer and nutrition, began importing soybean oil cake. German botanist Engelbert Kaempfer introduced the crop to Europe in 1712 while working for Dutch East India Company by describing soy foods in Asia in his book Amoenitatum Exoticarum Politico-Physico-Medicarum, or Exotic Novelties, Political, Physical, Medical. In 1917 an English journalist described German efforts to import soybeans, explaining “no country more than Germany appreciates the value of this golden bean.” Today, Europe imports most of its soybeans. The introduction of soybeans to the Americas dates back to 1765, when a former East India Company sailor, Samuel Bowen, sent beans to Henry Yonge to grow in Georgia and later planted more himself. Eventually, the United States echoed China by labeling the crop as the “king of beans” and went on to become the largest grower and exporter. Both the United States and Europe depend on soybeans for animal feed. 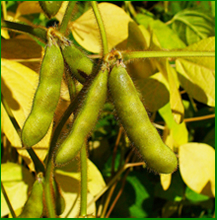 Soybeans served as an affordable substitute for protein during the World War II for malnourished populations on all sides of the war, due to limited access to animal protein. And soybeans still serve as a main source of protein for some countries especially Indonesia, Malaysia and elsewhere in Southeast Asia. The crop took off after the World War II, even as production in China slowed due to disruptions of war and internal revolution. 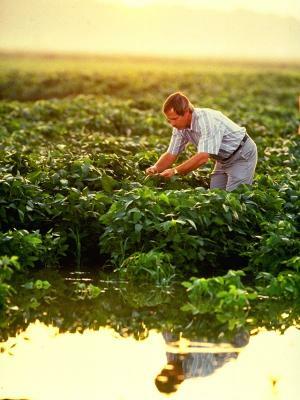 With worldwide recognition and growing production, soybeans became a globally traded commodity. Due to a decline in available arable land and also because other commodities like corn became more profitable for farmers through subsidies and other protectionist policies, soybean production declined in China from 2004 onwards. China is now the largest soybean importer, and the rapid rise in imports started with World Trade Organization accession in 2001, The Standing Committee of the National People’s Congress not only reduced import tariffs on oilseed, but also ended export subsidies and eliminated import restrictions. Today, the United States, Brazil and Argentina combined provide more than 85 percent of global production of soybeans trailed by Paraguay, China, India and Bolivia. The large producers develop strategies to ensure production including price supports, subsidies and other trade policies that favor domestic production over imports. With Brazil’s favorable export policies and the bilateral trade agreement between Brazil and China, China became the Brazil’s top export market for soybeans, but that investment has fueled deforestation in Brazil: Increased soybean production to meet demands in China has been blamed for the diminishment of “cerrado,” or tropical savanna eco-region in central Brazil, and the forest in Mato Grosso state. About 70 percent of the oil is for human consumption and virtually all of the soybean meal as well as the hulls are used as animal feed. Soybeans are also used to manufacture numerous products including tires, cosmetics, paints, adhesives, flooring, hydraulic fluids and much more. Significant price increases in food commodities hit the world in 2007 – and that included soybeans. Increased demand for food from an expanding middle class and keen interest in biofuels to stem climate change, combined with speculation in the financial markets, prompted prices to climb. Prices have remained volatile since 2008 and reached record levels in 2012. Such market disruptions pose devastating consequences for countries where soy is the main source of protein including Indonesia, the Philippines, Brazil and many African countries, and prompted protests over rising prices and intervention by government forces. The biotech industry has contributed to growth of the commodity. “The majority of the soybeans grown in the United States are from seeds that have been enhanced through biotechnology,” which allows for “farmers to grow more crops on fewer acres using fewer resources,” notes the United Soybean Board. Prices have since leveled off, and soybeans continue to be a major protein source for many countries - especially prized by vegetarians around the globe for nutritional value and versatility in recipes, ranging from tofu burgers to soy smoothies. Ceren Safak is a joint degree student at Yale University pursuing MPH and MBA degrees. Before attending graduate school, she worked at the UNDP International Entrepreneurship Initiative and Bloomberg Businessweek as a correspondent. She interned at the World Health Organization and McKinsey & Company as a graduate student.